Hamilton® CapTel® for Business, Interconnected by Tenacity™ is available to individuals working in a Cisco® VoIP environment and who experience hearing loss and have difficulty hearing on the phone. Accessing Hamilton CapTel for Business requires that Cisco Telecom Administrators contact our partner, Tenacity, to arrange software implementation. A license, installation of the Hamilton CapTel application on the Cisco phone, and a user account are also required. Captions are displayed directly on the phone screen. 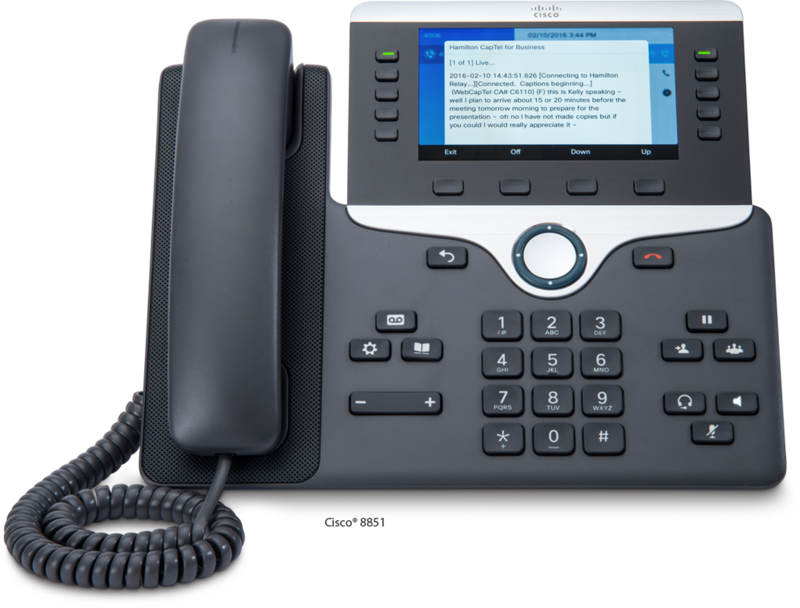 We recommend using the Cisco 8851 for the best captioned telephone experience. Tenacity offers a 30-day trial period prior to committing to a 12-month licensing agreement. Once implemented, the system will connect the Cisco phones in network to the captioning service. Each site will be recognized in our system so that employees who need captioning service can gain access while using their Cisco phone. To have a Hamilton CapTel for Business representative contact you, please complete the form below. 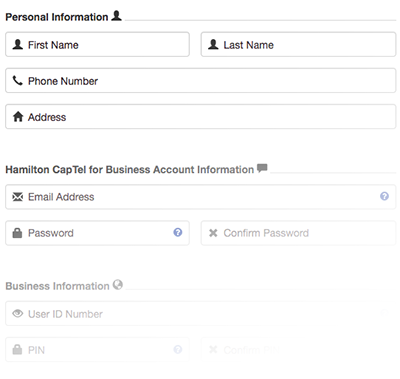 Prior to use, each employee intending to utilize the service must first register for a Hamilton CapTel business account. This simple, one-time registration process allows the user to establish their User ID Number and PIN which will be used to log into the Hamilton CapTel application on the Cisco phone. Then, placing and receiving calls with captions with anyone, at any time, will be possible through their existing phone. I am inquiring about the service for myself. I am inquiring about the service for a business/company.